Maria Cornejo bristles at the idea that sustainability is an all-or-nothing proposition. “I think to be totally ‘eco’ is practically impossible,” says the NYC-by-way-of-Chile designer (and CFDA/Lexus Hybrid Living Eco-Fashion Challenge winner) in a video interview with NBC’s The Feast. That’s not to say you shouldn’t try, of course. “We’re trying to make the right decision whenever we’re choosing fabric or working on something, whether it’s leathers that are vegetable-dyed or fabrics that are recycled or the way things are cut.” Her one tip for dressing ecologically is as disarmingly simple as it is singular. “We’re getting this amazing fabric which is made out of tape…audio tapes,” Cornejo gushes. 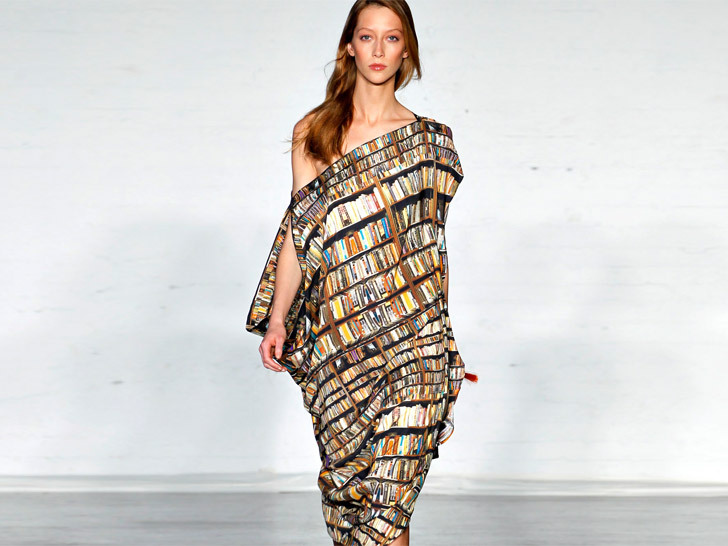 Designer Maria Cornejo Loves Recycled Cassette-Tape Fabric, Doesn't Think Fast Fashion is Very "Eco"